Practice your international language skills and meet new people. Join the language table of your choice! 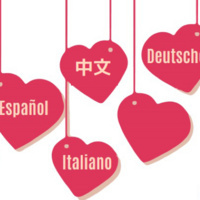 International languages featured will include Chinese, French, German, Italian, Japanese and Spanish. Lunch will be provided. This event is sponsored by the International Languages and Cultures Department and the Office of Study Abroad. Lunch will be provided. For additional information: worldview@webster.edu - 314 986 6988.